Happiness is when the mail carrier delivers this to me. 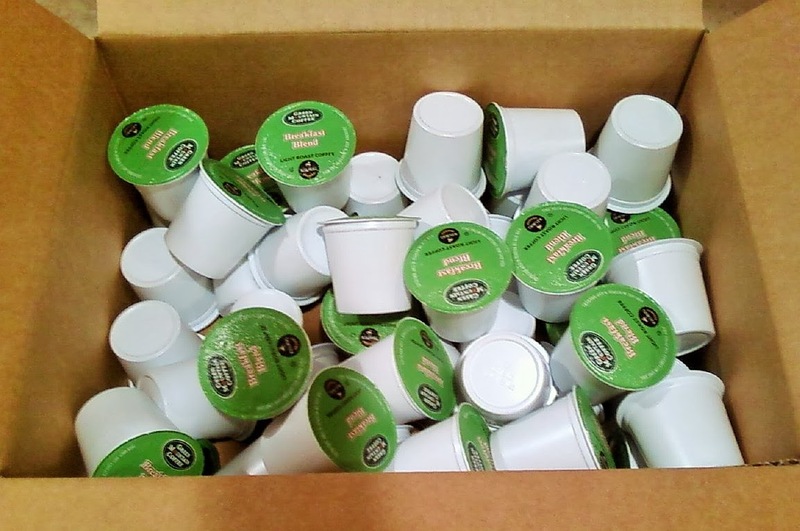 A whole boxful of Breakfast Blend Kcups. Bliss. That is my parents' favorite, too. I kid you not that K-cups were on their Christmas list. They are STOCKED up! Or at least they were! grin. I have been crazy for Earl Grey lately. We'll see how my go-to drink changes as the seasons change, but a mug of hot tea is so soothing and doesn't lay the same guilt on me that soda does. I have the feeling I commented on this, so either I forgot to hit Publish or that was on Facebook. My hubby lives on K-cups. Last Christmas the grandkids gave him a shopping bag full of assorted flavors, individually wrapped in Christmas paper. He left them wrapped until he pulled one out to use so he never knew what flavor he was getting.